Liam marries Ivy to save her from being deported on The Bold and the Beautiful. After months of telling compelling storylines why is B&B back to recycling scripts? Brad Bell announces Karla Mosley is The Bold and the Beautiful’s new leading lady. Days of Our Lives may be boring at the moment, but photos published on social media by its stars have Jamey salivating for #DAYS50 episodes. Eve schemes to bring down Jennifer. Why is Stefano obsessed with Abby the Horton Harlot Abby? Xander hunts Nicole and Eric. Sara Bibel interviews Genie Francis for Biography and shares her account of talking with the General Hospital icon. Anthony Geary’s exit story heats up as Luke and Laura hunt for Lucky. Nikolas scoops up enough stock to control 50 percent of ELQ. Does General Hospital need to cut out its stupid storylines and focus on stories with substance? Since arriving at GH Cartini has focused on reliving the soap’s historical moments. Is it time for Frank Valentini and Ron Carlivati to decide on their own vision for the last ABC soap? The Young and the Restless’ fake Jack storyline is so bad some of the DC gang is watching it for the laughs. How does Y&R expect fans to accept a Lily and Joe pairing when they’ve made Joe an abusive pig? Could Sharon end up pregnant again? 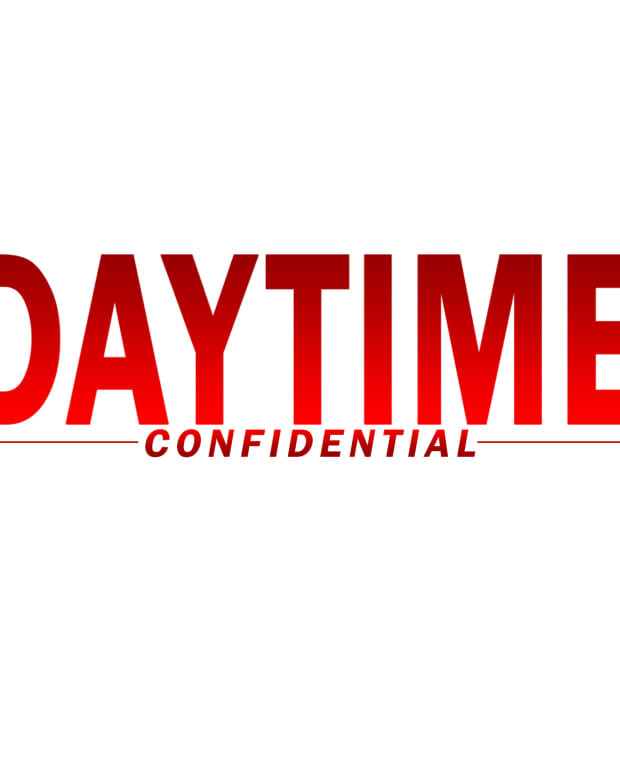 All this and much more on today’s Daytime Confidential podcast.